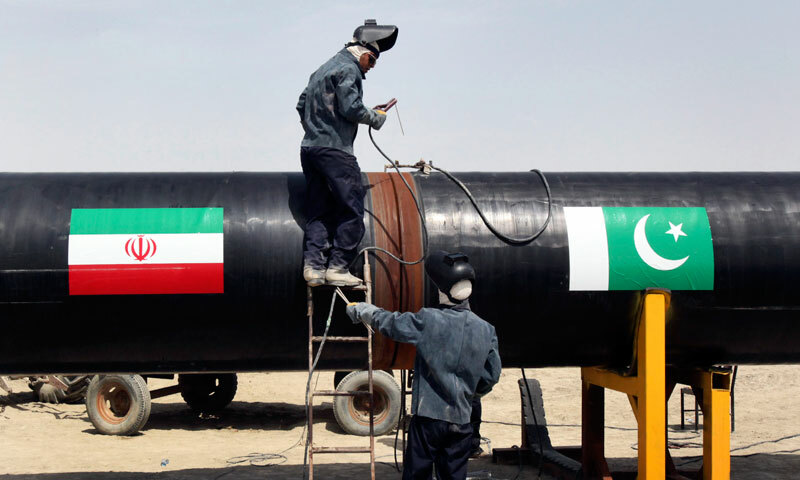 DUBAI/KARACHI: Iran will probably give up on a multi-billion-dollar pipeline project to supply gas to Pakistan, Iran�s oil minister was quoted as saying by the semi-official Fars news agency on Wednesday. �The contract for supplying gas to Pakistan is likely to be annulled,� Iranian Oil Minister Bijan Namdar Zanganeh told reporters on the sidelines of a gas forum in Tehran on Wednesday. Zanganeh did not state any further details in this regard. Iran has almost completed the pipeline to the Pakistan border, but Pakistan has made little progress on laying its leg of the long-planned pipeline, largely due to a lack of funds for the costly project and US pressure to drop it. Earlier this week, Pakistani Foreign Ministry Spokesman Aizaz Chaudhry reiterated Islamabad�s resolve to pursue the project. �It (IP) should be seen in the context of acute energy crisis that we have in our country,� said the Pakistani official, adding that his government is pursuing the case to accelerate the implementation process of the project. Early in October, Pakistani Petroleum and Natural Resources Minister Shahid Khaqan Abbasi asked Iran to finance $2 billion in the construction of Pakistan�s side of the IP gas pipeline project. The Pakistani petroleum minister said preparatory work was complete, but they had asked Iran to provide $2 billion for the construction work. Finance Minister Ishaq Dar asked his Iranian counterpart Ali Tayyebnia at a meeting in Washington this month to �look into the possibility of constructing the Iran-Pakistan pipeline on Pakistani side as well� because international sanctions were preventing Pakistan from raising finances on its own, according to a statement issued by the Pakistan Embassy in Washington. Last month, Pakistani Prime Minister Nawaz Sharif told the Wall Street Journal that he would proceed with the pipeline plan despite the US objections.